It’s been a few years since Maple Leafs fans have had to worry about prospects in the mid-teens on draft day. Here in Toronto, we’ve become accustomed to discussing the most talented player at the top of the draft – Matthews or Laine, Marner, Hanifin or Strome, Nylander, Ritchie or Ehlers. Things are different this season. Assuming they keep the pick, this year Shanahan & Co will be drafting 17th overall. This year’s draft is as jumbled as any in recent memory when it comes to picks 4 through 25. There is going to be a lot of variances when it comes draft boards and trying to pin down what a tea is going to do in the middle of the first round is going to be next to impossible. One thing is for certain, it is very possible for the Leafs to draft a very impactful player for the future with the 17th overall pick. Here is a look at the 17th player selected in the NHL draft since the Leafs were last in this position back in 2001. As you can see, it is very possible to get a very good player – even a star – at seventeen. If you ignore the nonsense from Ottawa in 2013, the 17th overall selection is on a nice little run. Travis Sanheim and Dante Fabbro are two of the best defensive prospects in all of hockey, Kyle Connor is likely just a summer away from making a major impact in Winnipeg and Tomas Hertl is already a key part of the core in San Jose. 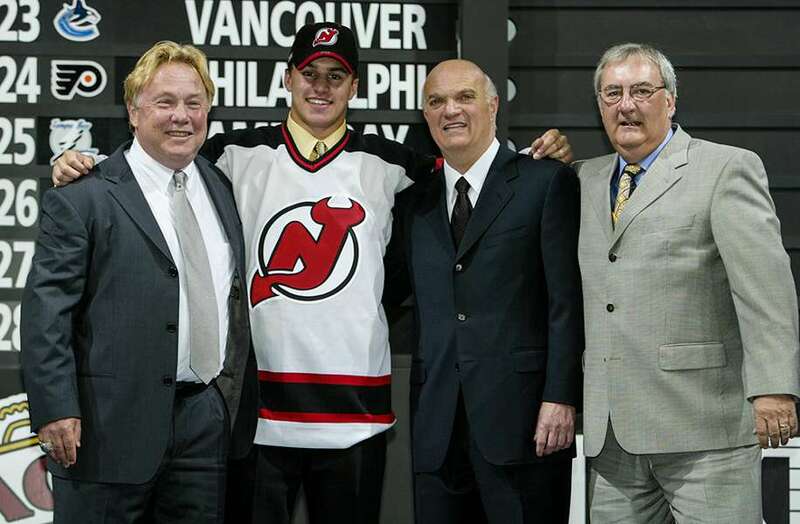 In the past 16 drafts, the 17th pick has been used to select just about everything – a star (Zach Parise), a bust (Joey Hishon), a long-time middle-6 center (Hanzal) and a shot suppressing bottom-6 (Trevor Lewis). The chances of drafting a guy like Zach Parise this year are slim – though if Nick Suzuki begins to slip on draft day, it’s not out of the realm of possibility – but if the Leafs can find themselves a Martin Hanzal-type player, they will have done very well. The Maple Leafs have actually only selected at 17-overall once since the NHL expanded beyond the Original 6 – they selected Jim McKenny 17th back in 1963, but that was already the third round. Carlo Colaiacovo was the hometown Toronto boy that was supposed to be a rock on the blueline and a fan favourite for a decade. If not for injuries devastating his career, Colaiacovo could have been that. The Leafs currently have one seventeenth overall pick in their lineup – and he’s a good one. Jake Gardiner was selected by Anaheim in 2008, the Leafs stole him from the Ducks and he is now one of the two big-time defenders the Leafs will be relying on was they come out of the re-build. Zach Parise is probably the most talented (and second most accomplished) player – ever to be selected 17 – and the best part about that? It was Lou Lamoriello that made the selection. Parise is a great player and an absolute steal at #17, the one negative to Lou’s selection back in 2003 is that Ryan Getzlaf and Brent Burns were still on the board and selected with two of the next three picks. Along with Parise, you have to go back to 1969 to find the other true superstar selected at 17. That year, the Philadelphia Flyers selected future Hall of Famer and the pride of Flin Flon, Manitoba – Bobby Clarke. Clarke fell out of the first round of the 1969 draft because teams were reluctant to take a chance on drafting a player who was diabetic. The Flyers called his name at No. 17 and got a Hall of Famer. The diabetes quickly became a non-issue as Clarke keyed the Flyers’ rise in the early 1970s. He was named team captain at 23. Clarke’s drive and skill led the Flyers to Stanley Cups in 1974 and ’75, and he retired in 1984 with 1,210 points and three Hart Trophies. For the Maple Leafs, the idea of trading down for more picks – or trading out of 17 altogether – is definitely a possibility. If the Leafs can find a team willing to part with an established NHLer for the pick, you’d assume they’d think long and hard about it. The Leafs have a ton of youth and might benefit more from adding immediate help than they would by adding to the prospect pool. The last time the 17th pick was traded, the Ducks were able to pick up 17 and 28 overall from the LA Kings in exchange for their own 12th overall pick – they then selected Jake Gardiner and traded #28 to the Phoenix Coyotes. That is either a ton of value for the 12th overall pick or proof that moving down 5 slots can net you a great return. I highly doubt the Leafs could get value anywhere close to that by moving down, but you never know. A more recent example of draft pick value would be last June when Winnipeg traded the 22nd and 36th overall pick for picks 18 and 79. Potential Selections with the Pick. Due to a lack of blueline depth in the Leafs prospect pool, many mock drafts are slotting a defenseman in at #17. With that said, the centre depth in the organization is just as big an issue. That said, the Leafs always employ the Best Player Available strategy and worry about balance on the depth chart later. Next 2017 NHL Entry Draft: Who Could Vegas Select with Each of Their Picks?